Dollops of Diane: Stonyfield Frozen Yogurt Pearls: Yum! If you're a regular reader or know me in real life, then you know that I have a major sweet tooth. I try my hardest to balance a LOVE of sugary treats with enough exercise and healthy choices to stay moderately fit. Some days are easier than others! Given my love of sweets and desire to fit into my jeans after this LONG winter (they're getting tight! ), I was excited to try new Stonyfield Frozen Yogurt Pearls. 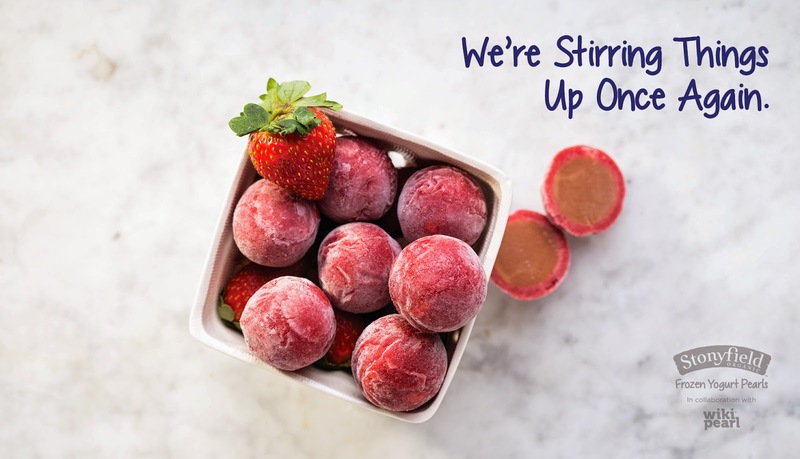 The pearls are scoops of Stonyfield delicious, organic frozen yogurt wrapped in an all natural fruit coating. So what does that mean for you? It means you can pop these yummy bites right in your mouth without even needing a spoon! 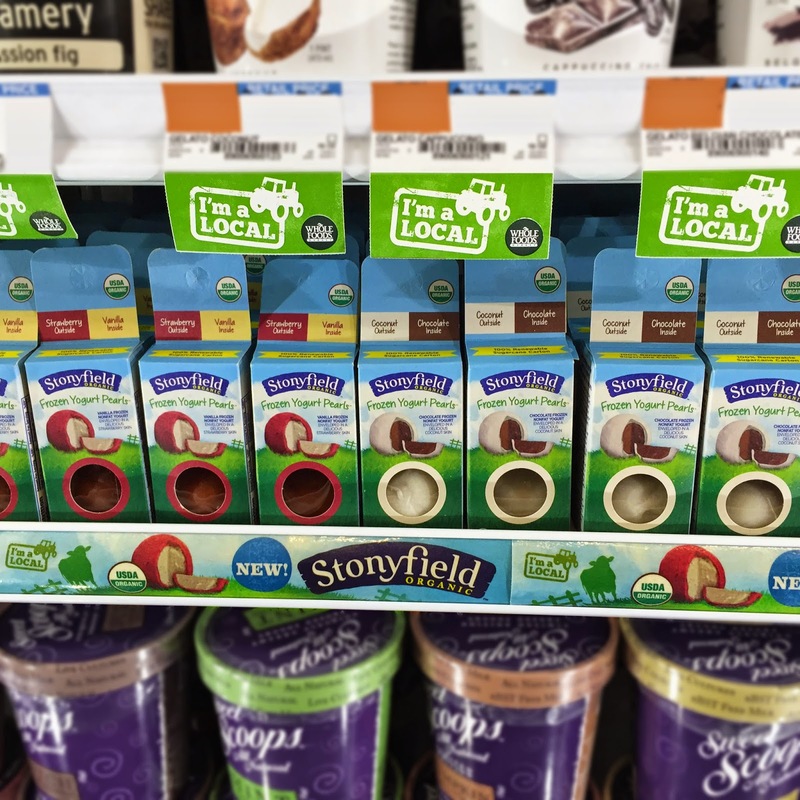 Stonyfield is always working to reduce packaging and striving towards a truly sustainable package. Thanks to WikiPearl Science, this dream is now that much more attainable. WikiPearl and Stonyfield were named as one of TIME Magazine's Top 25 Inventions of 2014! The kids and I gladly sampled the strawberry and peach flavors. We saved the coconut for my husband since coconut is one of the few flavors that I can just never get behind. The consensus was thumbs up all around. I liked that they were tasty and easy to eat. Coming in at just around 20 calories per Pearl you won't feel bad about eating them. They give you the fix you need without destroying the hard work you've been doing to stay (or become!) healthy. 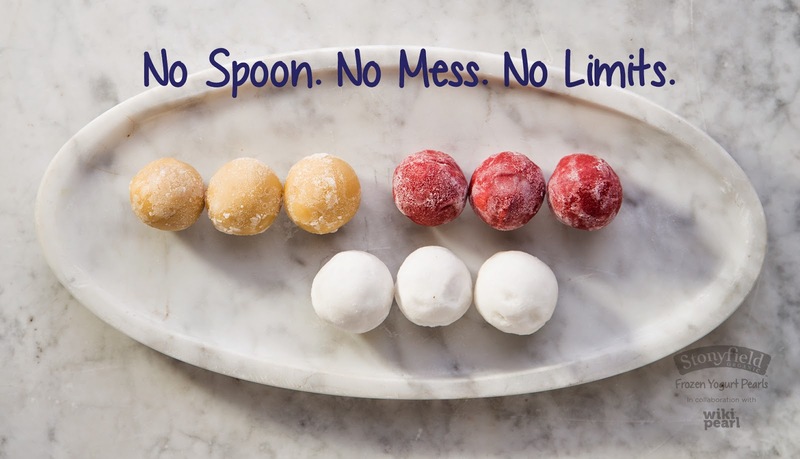 Stonyfield Frozen Yogurt Pearls are available across New England at Whole Foods Markets in the freezer section. You can click HERE to print a coupon to get two packs of Pearls for $6. at times I receive free product and/or compensation. As always, all opinions are my own. 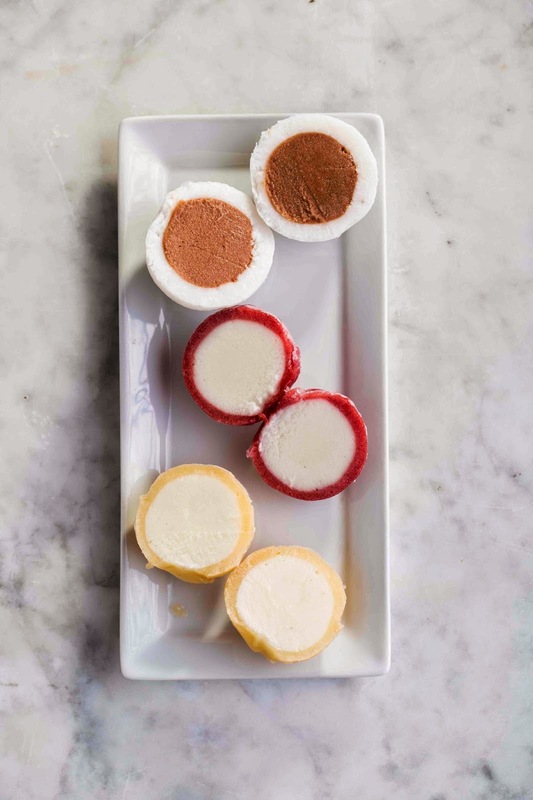 Photos courtesy of Stonyfield.